Growing up, I never used to eat at landmark/theme chain restaurants while traveling. It never appealed to me to eat at Planet Hollywood so I could get a t-shirt with the city name on it. I didn’t need to see if the Hooters girls in Seattle were cuter than the Hooters girls in Las Vegas. I didn’t care about the memorabilia in the Hard Rock Café of whatever city I was in. Not that dining out when traveling didn’t interest me. To me, eating at restaurants away from home is a lot of fun (and usually delicious). However, my goal was to always eat at places specifically unique to the area I was in. Over the past couple years, I have started to change my tune a bit. The main reason? My wife of course! I will now go out of my way to eat at a certain landmark chain restaurant that is named after its signature dessert and that has a menu the length of a dictionary. Call me a major Cheesecake Factory fan! Sidney helped me discover my love of the Cheesecake Factory. This photo is of Sid at the Charlotte Cheesecake Factory yesterday. 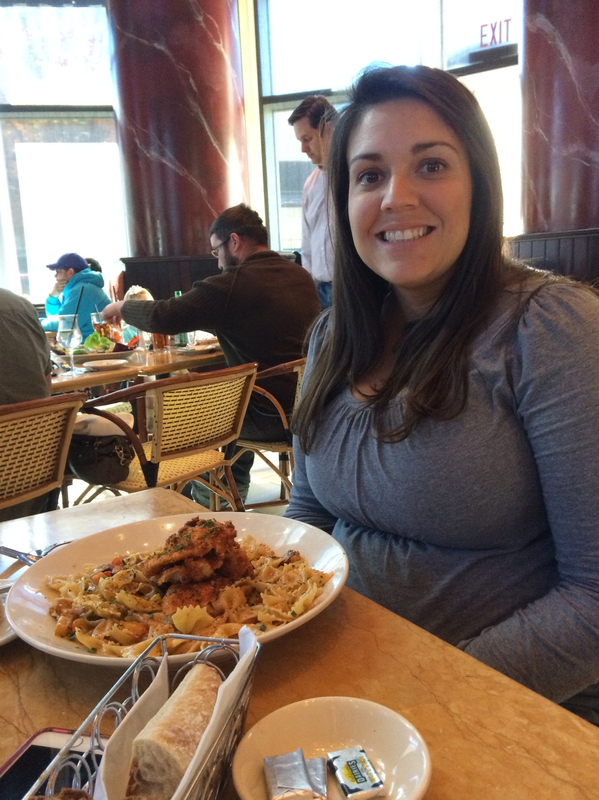 She is with her favorite Cheesecake Factory dish, the Louisiana pasta. But before I sing its praises, what is it about the Cheesecake Factory that relates to my wife? Well, I guess I should admit that it isn’t just about Sidney. In fact, it is about her whole family. Whenever the Mathis family takes a trip together or even when one of them travels independently, if the destination happens to have a Cheesecake Factory there is a 100% chance that they will eat there. Since I am now part of the family, I am also part of the tradition. And let me tell you, I have embraced it! I now love the Cheesecake Factory. My initial experience at the chain was eating with my parents and siblings at the Caesars Palace location in Las Vegas several years ago. I liked it well enough but I don’t think I truly appreciated it until Sidney opened my eyes. 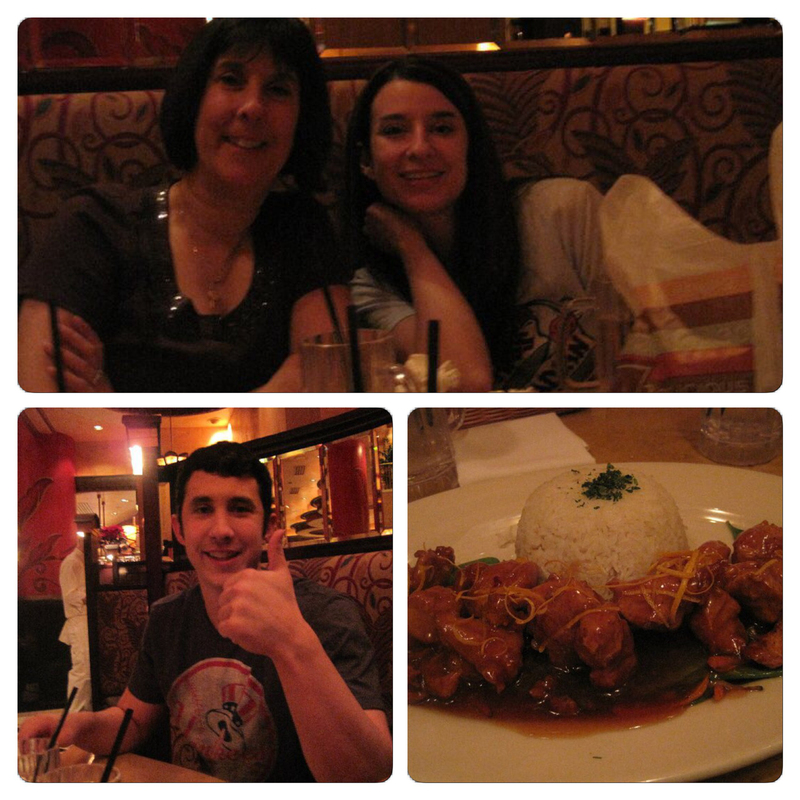 The first time I ate at a Cheesecake Factory was with my family in Las Vegas in December of 2010. The top photo is my mom and sister. The bottom left is my brother. 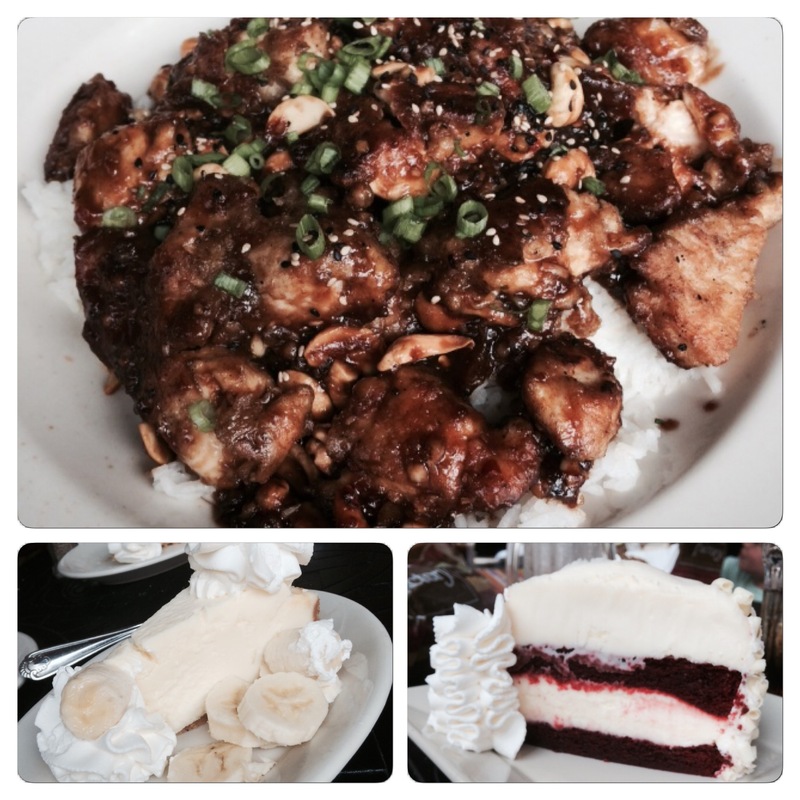 The photo in the bottom right is of the orange chicken I ate as my first ever Cheesecake Factory meal. The pleasant and aesthetically pleasing interior. The different types of complimentary bread. The all-encompassing menu. The great service. The huge portions. THE CHEESECAKE. 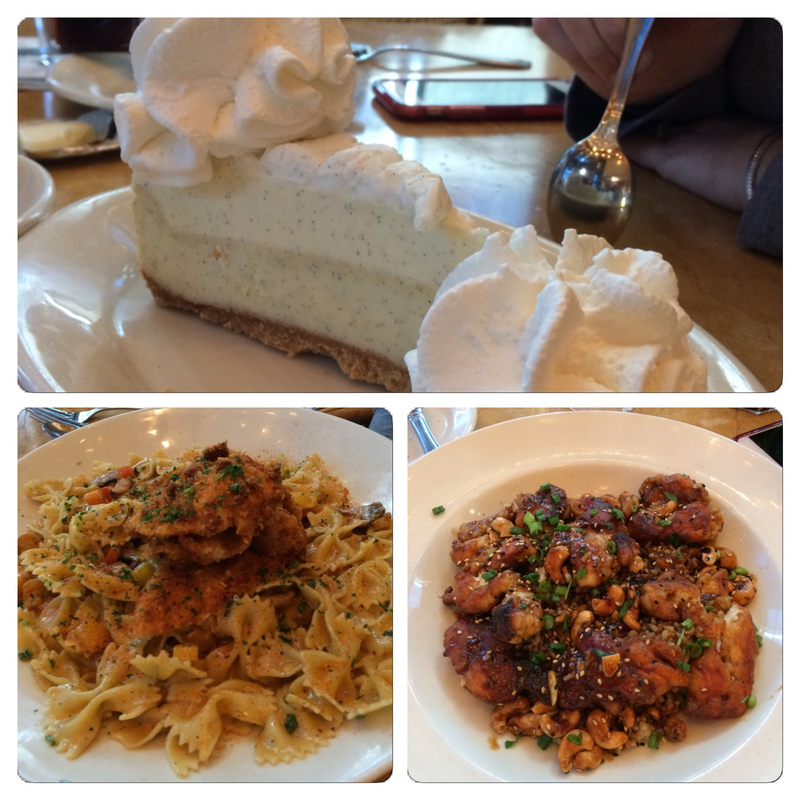 A look at the food we ordered yesterday at the Charlotte Cheesecake Factory. So good. Speaking of that last little item I mentioned, Sidney’s family has a mini tradition built into the big tradition of eating at the Cheesecake Factory. Each person in the party will always order their own slice of cheesecake. When I was with the entire group a little over a year ago in Atlanta, we had I think eight or nine different pieces of cheesecake on our table. It was a beautiful sight. And believe me, the restaurant’s signature item lives up to its hype! There is no other cheesecake in the world quite like it. This was the collage I made from the Atlanta Cheesecake Factory visit in August of 2015. Below is the original caption. The Cheesecake Factory was delicious. I had the spicy cashew chicken which was amazing. I got banana cream pie cheesecake and Sid got red velvet cheesecake. When it comes to my preference at the Cheesecake Factory, my favorite dish is the spicy cashew chicken. Simply incredible. Sidney and her sisters always order the Louisiana pasta. Cheesecake wise I elect usually for a sweet option. Not wanting to goof up an already good thing, Sidney will 95% of the time order vanilla bean (except for that one time in Atlanta when she got the red velvet cheesecake). Sidney usually always orders vanilla bean cheesecake at the Cheesecake Factory. 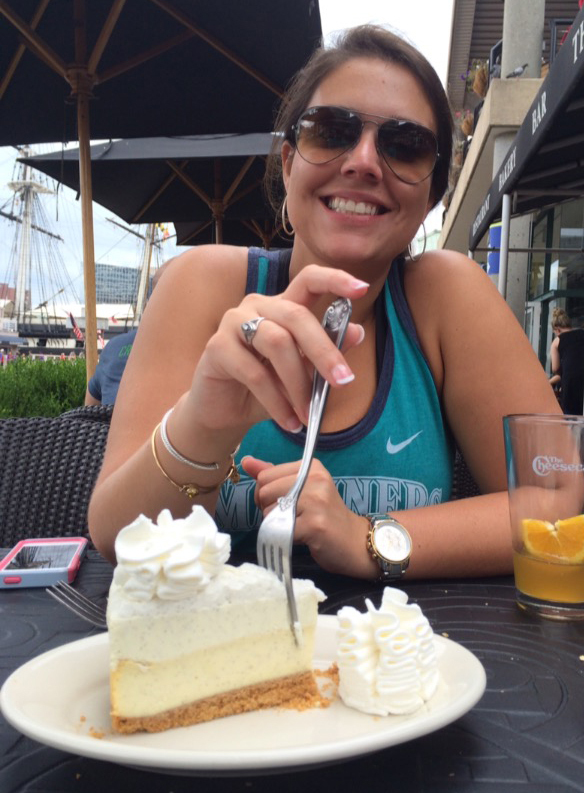 This is her with a slice at the Cheesecake Factory in Baltimore in July of 2014. I used to shake my head at the people who would announce something along the lines of “I have been to 16 different Planet Hollywoods.” However, I have changed my ways and I can proudly confirm that I have ate at five different Cheesecake Factories in the great cities of Atlanta, Baltimore, Boston, Las Vegas, and Charlotte. 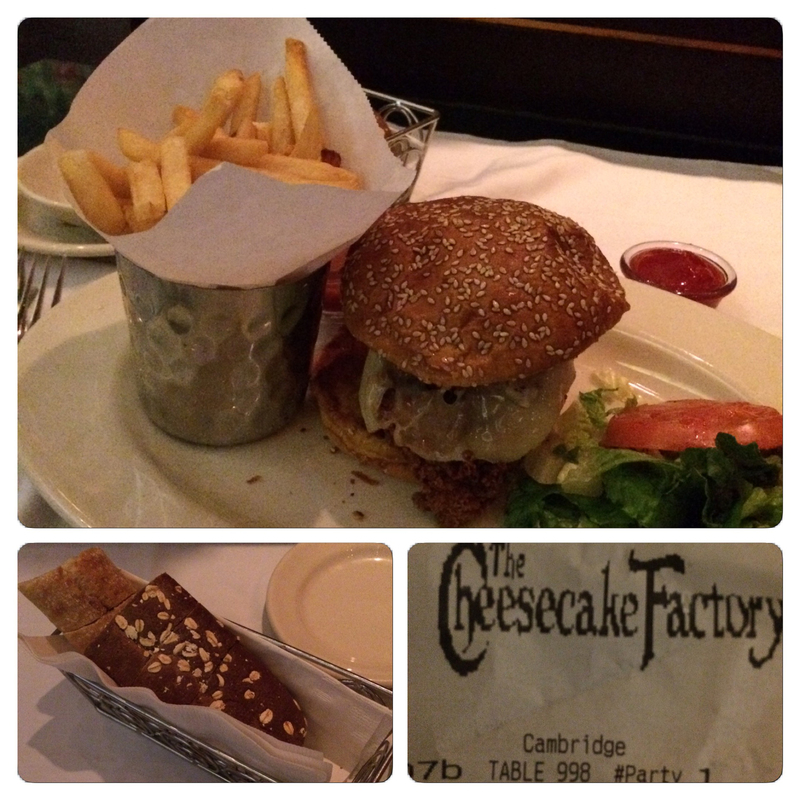 Earlier this month I ate at the Cheesecake Factory in Boston (it was my second time in my lifetime eating at that location). I ordered the spicy chicken sandwich. The latter one on that list was visited just yesterday. 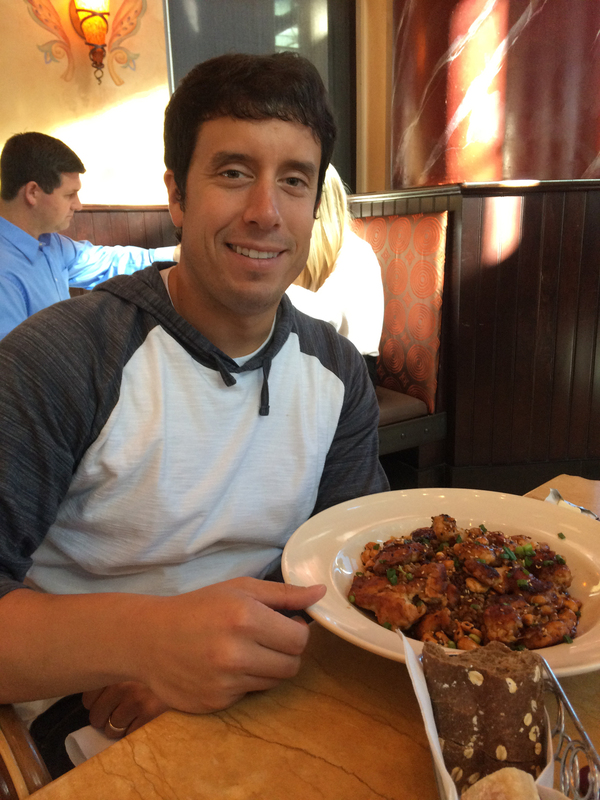 Although technically the reason for us visiting Charlotte was to watch the Griz-Cat football game, let’s get real here…the opportunity to go to the Cheesecake Factory was a big factor as well. This was me yesterday at the Charlotte Cheesecake Factory with spicy cashew chicken. What can I say? I am a big Cheesecake Factory advocate. I can confidently say it is one of the few major chain restaurants that is not overrated and I can thank Sidney and the Mathis family for helping me discover that fact. Don’t Blink.